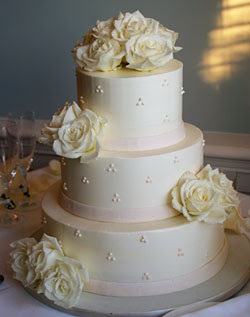 Stunning wedding cakes in white, palest of pinks and ivory with many tiers and an abundance of pale sugar roses! Extremely pale pink four tier round wedding cake with many gorgeous sugar flowers and a big sugar bow on the top tier that cascades down through the tiers alongside the flowers. Romantic 4 tier round wedding cake in ivory with an enormous amount of sugar roses cascading down the tiers. 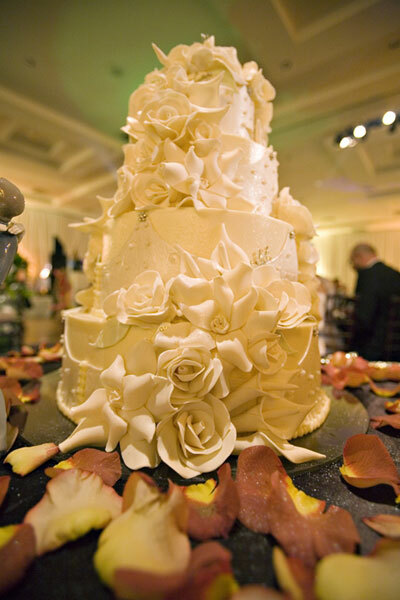 Classic white round three tier wedding cake with a bouquet of white sugar roses blooming out of the top tier. Amazing round 4 tier wedding cake encrusted with lovely white sugar roses. 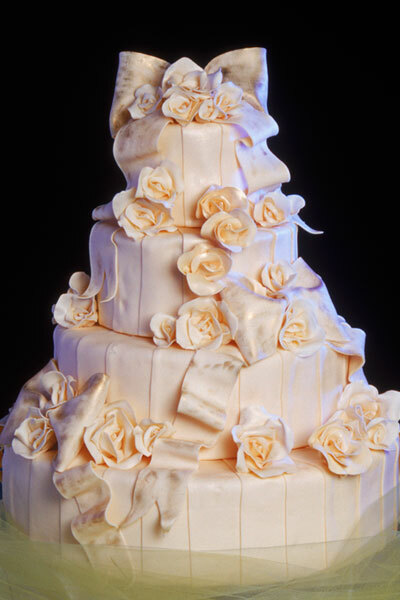 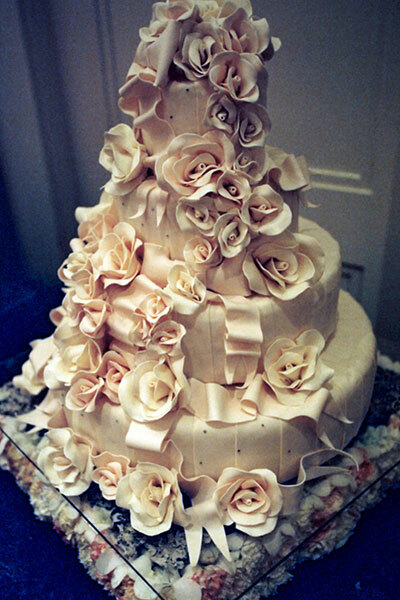 Delicious wedding cake with white sugar roses and white chocolate shavings. Four tier white wedding cake with sugar roses separating each tier. 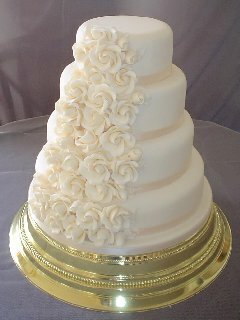 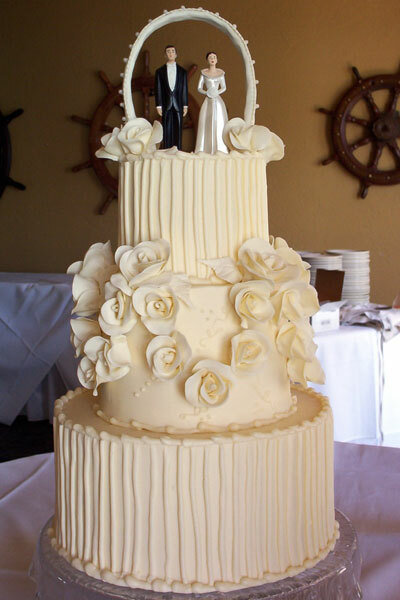 Elegant three tier round wedding cake with sugar roses emphasizing the middle tier. 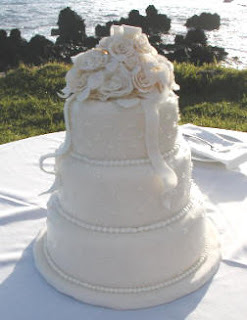 Three tier round white wedding cake with white sugar roses. 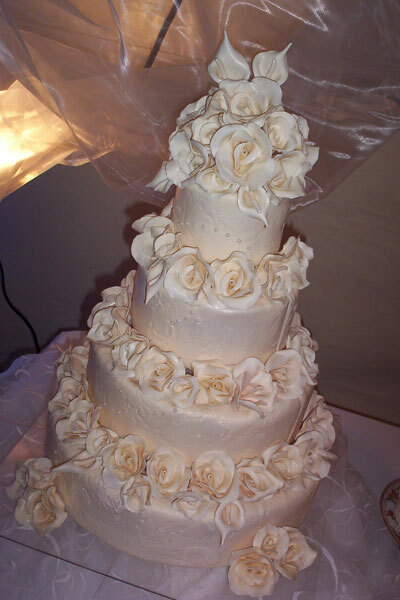 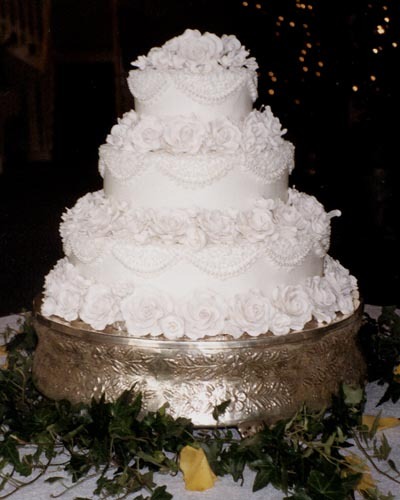 Elaborately decorated gorgeous white wedding cake with plenty of sugar roses. 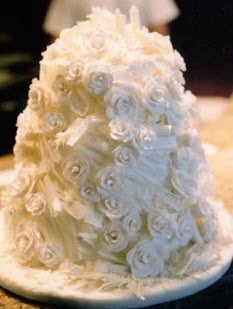 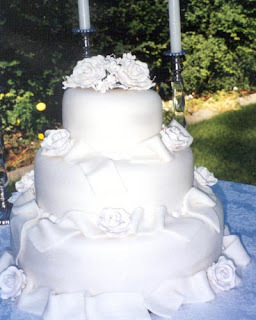 Beautiful traditional white wedding cake with sugar roses. Elegant off white wedding cake with sugar roses.